Time often seems to fly past with the ticking hands of a clock — but this intriguing unveiled by Norwegian designer Siren Elise Wilhelmsen at the Milan Furniture Fair turns traditional time telling on its head with his new work "365 Knitting Clock"
Wilhelmsen swapped numbers for wool yarns to visualize time in a new physical form that changes and develops as days pass — the clock will knit a 2 meter long scarf over the course of a year. 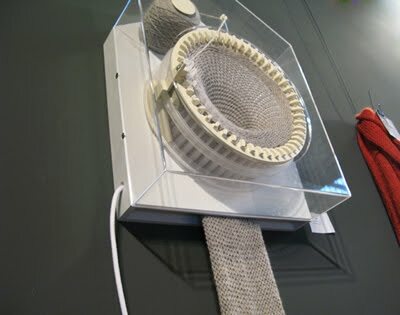 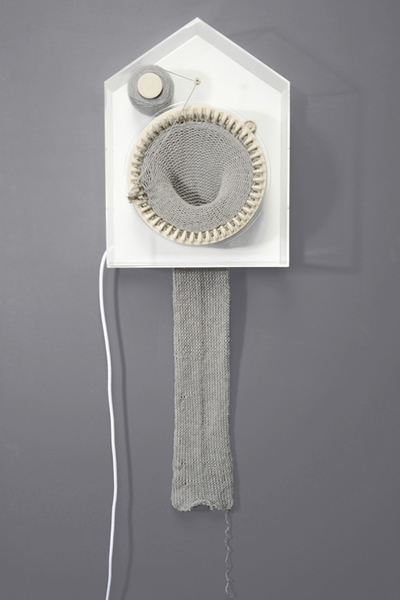 The un-knitted thread is also placed on display as a sign of how much time is left of the current year. 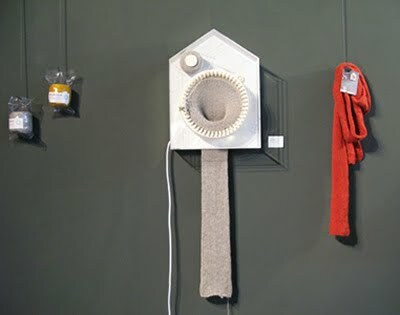 Often products that create strong emotional attachments are more likely to survive in today’s throwaway society, and we think that the 365 Knitting Cloc is a great example of multifunctional design that resonates with the passage of time.